The next generation BalanceBox 400 is now capable handling panels up to 86″ in diameter. 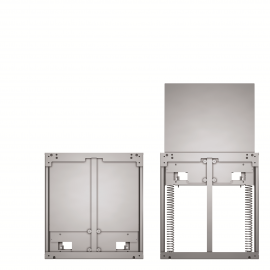 Find our new spec sheet below in the BalanceBox 400 Specs section. 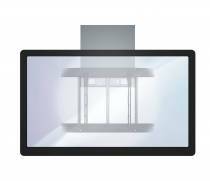 The BalanceBox® is the perfect solution to move your touch screen up and down manually. 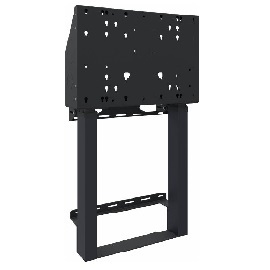 BalanceBox® 400 has a weight capacity up to 198 and BalanceBox® 650 up to 372 pounds. Both have a compact design with a stylish stainless steel cover that is hidden behind the screen. 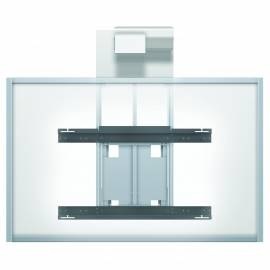 Interface brackets for all screen sizes, a mobile stand and a floor support are available as accessories. 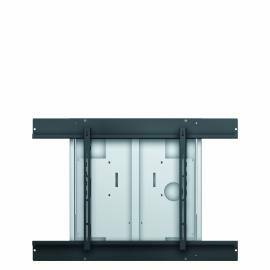 eBox® motorized mounts are the perfect solution when you need greater range of motion than we offer with BalanceBox®. These UL Rated, double-column design products guarantee the stability needed to work with Interactive Touchscreens. The wired remote control unit (no batteries) can be placed at a convenient and easy to reach location, allowing the user to adjust the height of the screen safely and quietly. The stands have an anti-collision feature on the height adjust motors to prevent accidental pinching; when the system is moving and senses an obstruction, it will stop and retreat. The height adjust motor is the fastest in its class at 1.5” (38 mm) per second travel speed and has a soft-start and soft-stop. With 26” of travel on the mobile stands and 34″ on the wall mount, travel will guarantee full screen access for all users, including wheelchair users. With the optional accessories the product can be equipped for use with a laptop or keyboard tray. 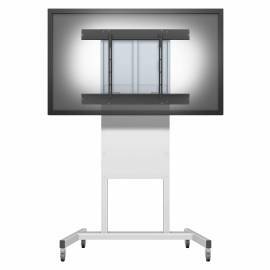 The BalanceBox® 400h is the best height adjustable solution for large interactive whiteboards. Move your whiteboard as well as the projector up and down in an effortless way. 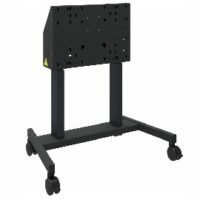 The BalanceBox® 400h has a weight capacity up to 200 lbs and is suitable for extra large whiteboards up to 120 inch. The mount gives you great comfort: simply move the board by hand to the required position. 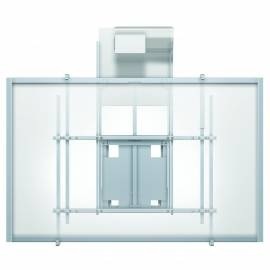 An accessory to the BalanceBox® 650, BalanceBox® Wings Whiteboard Frame offers the best of both worlds in classroom education. With Wings-6, the presenter has 6 writing surfaces at his or her disposal; 4 visible and two concealed. Open the center Wings to reveal the other 2 surfaces on the back of the closed set and reveal the interactive panel of your choice. The less costly Wings-4 offers just the center set of Wings to the instructor, eliminating the fixed side panels. 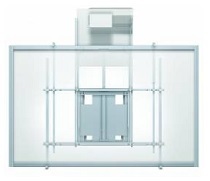 Whichever configuration you choose, the entire assembly is raised and lowered up to 25.6″, whiteboards and all, to match either the height of the student or the teacher. 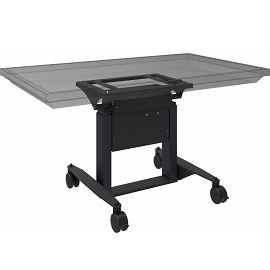 The Wings Whiteboard Frame is mounted on the BalanceBox® 650 height adjustable mount, so it requires no electricity. 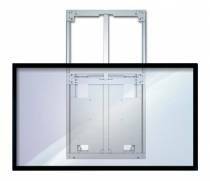 It comes in 3 configurations to accommodate 60-65 inch panels, 70-75 inch panels, or 80-86 inch panels weighting up to 213 lbs. High quality enamel whiteboard writing surfaces also allow for the use of magnets for posting notes or documents. The BalanceBox is our innovative height adjustable mount solution based on a patented technology. 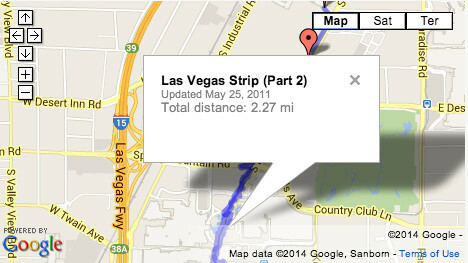 You can move your display up and down with just the use of your fingertips. The BalanceBox is truly unique and very user-friendly, no electric connection is needed . The BalanceBox gives you ultimate comfort, is extremely reliable and safe.